A dangerous "charmer" has been jailed for life for murdering his girlfriend who he thought was having an affair via Facebook. Kane Boyce was heard to shout "log on, log on" as he attacked 20-year-old Paula Newman in a street in New Addington, south London. She had refused to tell him a password to one of her accounts. 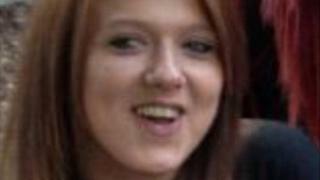 The 34-year-old from Erith, Kent, had admitted her manslaughter but an Old Bailey jury found him guilty of murder. He has been ordered to serve a minimum of 20 years. Jurors were told that he had a history of violence towards women and was manipulative and controlling. He was also known for his charm. The evening before her death on 12 November 2013, the couple went to visit his friends. When they returned home he began screaming and swearing at her. Jurors were told that one of the neighbours heard a male voice shout three or four times "log on, log, on", the reply "no, no, no", and then the male voice say: "If you don't log on, we'll see what happens." Then in the early hours, residents in Elmside, New Addington, were woken by the screech of car tyres and a man shouting and a woman screaming outside. Boyce pushed her to the ground where he hit her and stamped on her face, causing a major haemorrhage. He then drove to a friend's house where he showered her. It was only hours later when he noticed she was slipping in and out of consciousness that he finally called an ambulance. She died in hospital. Sentencing Boyce, Judge Worsley said he was "controlling, obsessive and violent" towards women and said he had a record of violence to them going back 15 years. "Paula was a vulnerable woman. Besotted by you, she was only 20 and you were 13 years her senior, almost a foot taller and you weighed some seven stone more than she did. "The attack was a systematic, brutal assault using fists and feet and your superior force." Ms Newman's brother Gary told the court her death had left her family "shocked, cheated and devastated". In a victim impact statement, he said her four brothers are wracked by guilt they could not protect their little sister. Investigating officer Det Ch Insp Diane Tudway said Boyce's "utter obsession with his unfounded belief that his girlfriend was cheating on him" had led to the brutal attack.